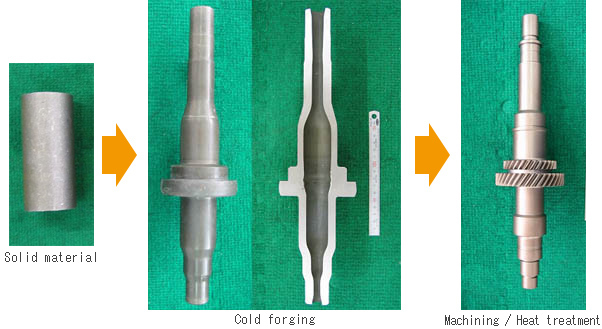 We have developed the new technology that can manufacture the hollow shaft from solid blank material by cold forging method, utilizing 5 axis CNS hydraulic press developed by us. As for the above product, it is possible to reduce about 1.3kg (30%) of weight. 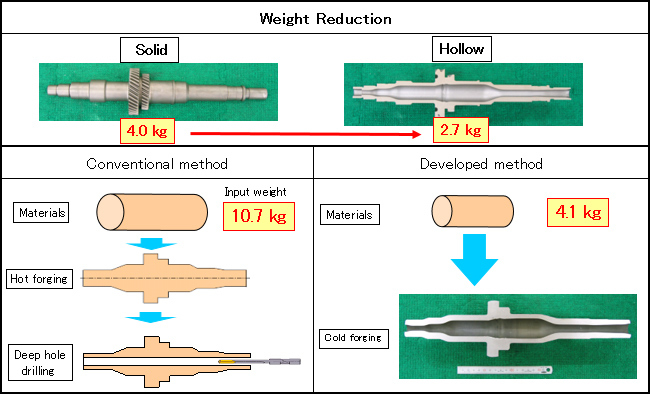 Also, 60 % of input weight of steel materials are reduced as shown below.